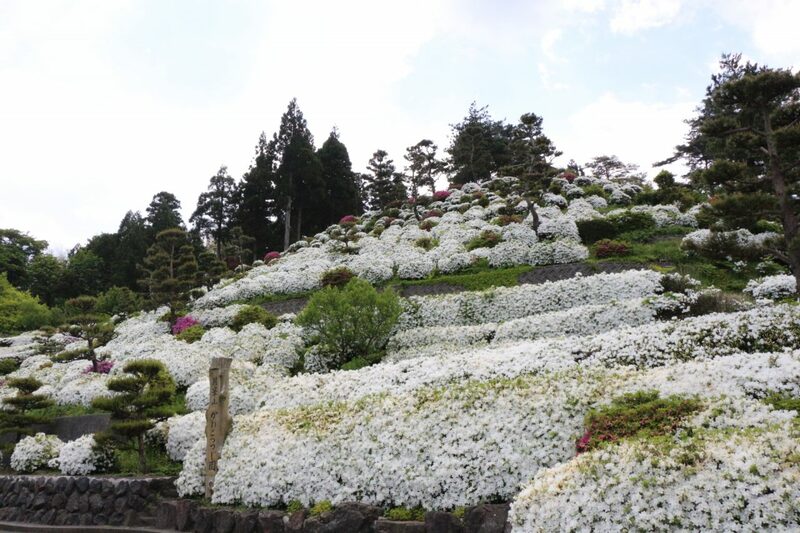 Located on a hillside on 5,500 square meters of private land, the Kaneko family have cared for the 3,500 azalea plants here for two generations. 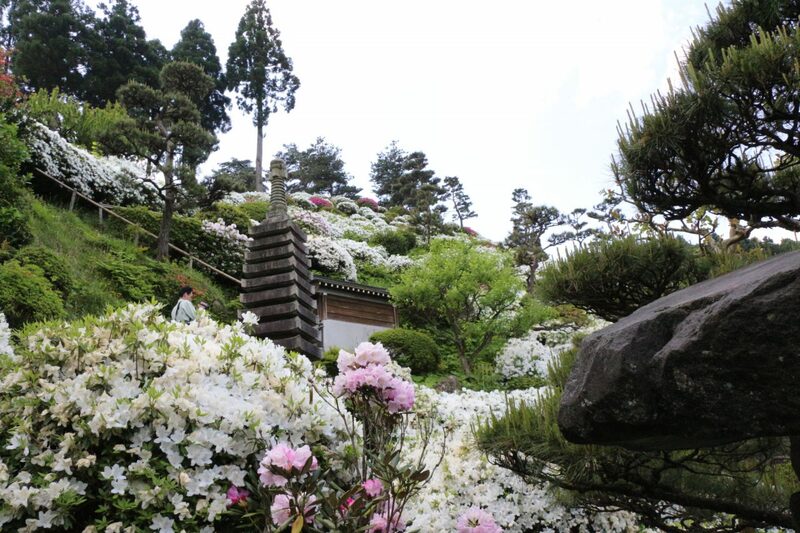 Each May, this hillside bursts into a brilliant display of white and pink azaleas creating a beautiful flower-filled landscape in tune with the natural surroundings. 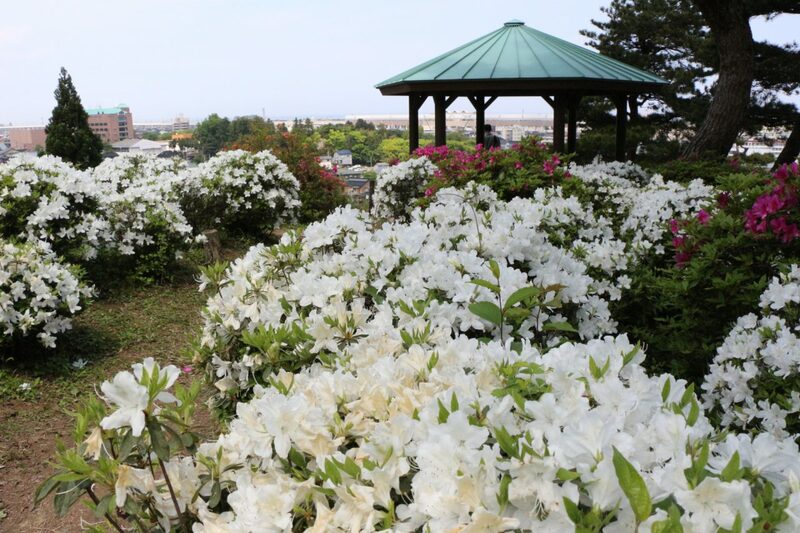 The view of Itoigawa and the Sea of Japan from the top of the hill is not to be missed! 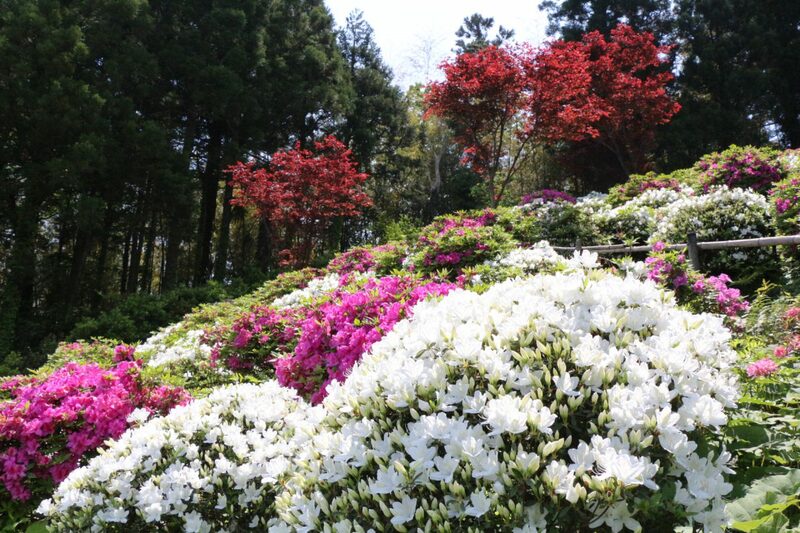 ※Note, the Kaneko Azalea Garden is located in the garden of a private home, but the owners have been kind enough to open it to the public. Please be mindful of their privacy and property.